What is kelp? Is it different than seaweed or algae? Actually, kelp is the general term that refers to 124 species of brown algae that are in the Order Laminariales. While kelp may look like a plant, it is classified in the Kingdom Chromista. Kelp is a type of seaweed, and seaweeds are a form of sea algae. The kelp plant itself is made up of three parts: the blade (the leaf-like structure), the stipe (the stem-like structure) and the holdfast (root-like structure). The holdfast grips a substrate and anchors the kelp to keep it secure despite moving waves and currents. Kelp grows in "forests" in cold waters (usually less than 68 F). Several kelp species can make up one forest, the same way that different species of trees are found in a forest on land. A multitude of marine life lives in and depends upon kelp forests such as fish, invertebrates, marine mammals, and birds. Seals and sea lions feed on kelp, while grey whales may use it to hide from hungry killer whales. Seastars, kelp crabs, and isopods also rely on the kelp as a food source. The most well-known kelp forests are the forests of giant kelp that grow off the coast of California, which are inhabited by sea otters. These creatures eat the red sea urchins that can destroy a kelp forest if their population is not controlled. Sea otters also hide from predatory sharks in the forests, so the forest also provides a safe haven as well as a feeding habitat. Kelp is not only useful to animals; it is helpful for human beings, too. In fact, you probably even had kelp in your mouth this morning! Kelp contains chemicals called alginates that are used to thicken a number of products (e.g., toothpaste, ice cream). For example, bongo kelp ash is loaded with alkali and iodine and is used in soap and glass. Many companies derive vitamin supplements from kelp, as it is rich in many vitamins and minerals. Alginates are also used in pharmaceutical medications. SCUBA divers and water recreationists also enjoy the kelp forests. There are about 30 different species of kelp: Giant kelp, southern kelp, sugarwack, and bull kelp are just a few kinds of kelp. Giant kelp is, not surprisingly, the largest kelp species and most popular or well-known. It is capable of growing 2 feet per day in the right conditions, and up to about 200 feet in its lifetime. There are several things that threaten kelp production and the health of vital kelp forests. 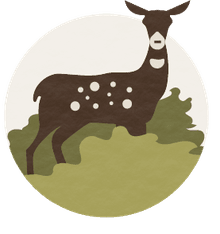 Forests can become degraded due to overfishing. This can release fish into different areas, which can cause overgrazing of the forests. With less kelp or fewer species available in a sea, it can drive out other animals that rely on the kelp forest as their ecosystem or cause other animals to eat the kelp instead of other creatures. 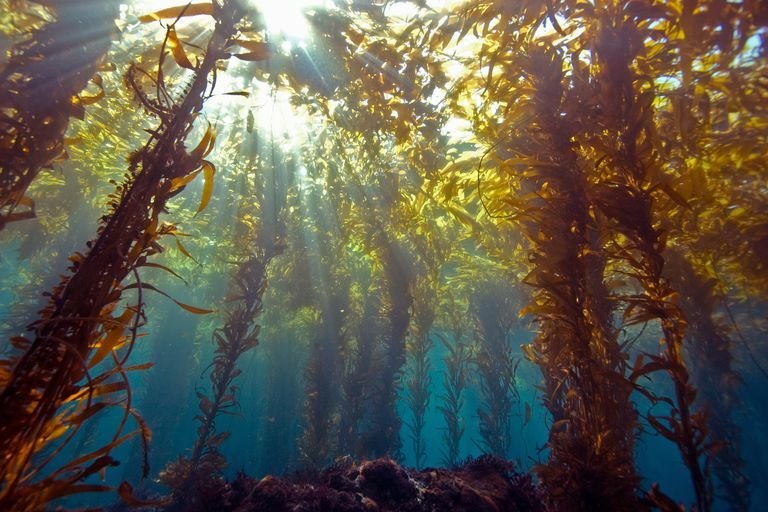 Water pollution and quality, as well as climate changes and introductions of invasive species, also are threats to kelp forests. What Are the 3 Types of Sea Weed (Marine Algae)? How Do Humans Use Seaweeds?